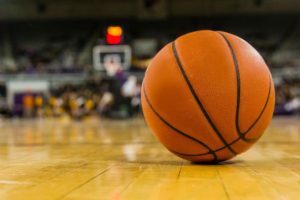 6th Grade BBALL game – Order Spirit Items and Volunteer! Hi Parents! 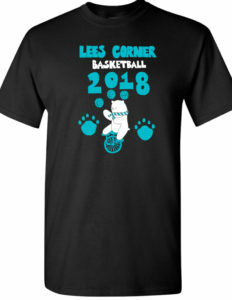 Get your tickets and spirit wear for the Lees Corner vs. Oak Hill basketball game (March 9, 2018). Online ticket sales and orders for T-Shirts and Spirit items (pom poms, thunder sticks, tattoos, bracelets and necklaces) until this FRIDAY, March 2. All pre-orders, including t-shirts for band students (optional), cheerleaders and basketball players will be receiving them the week of March 5. Please email julieohmchang@gmail.com with any questions. Please note: There will be lobby sales the week of the game starting March 5 for all remaining items. Monday through Friday mornings at 8:15 – 8:40 am, and Thursday after school. Bring cash or check! We still need help for this as well as a few volunteer slots during game day. Congrats to Madhi and Hannah for winning the T-shirt design contest! They collaborated on the design.The 6th grade boys and girls teams are practicing hard to beat Oak Hill. Go Lees Corner!!! ← Congrats to Madhi and Hannah!